Today’s Museum of the Day features the Motown Museum in Detroit, Michigan because it was 55 years ago today the Berry Gordy, Jr. founded the record label. 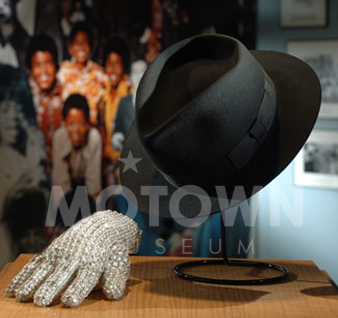 Home to an extensive array of Motown artifacts, photographs and other memorabilia, the Museum’s mission, which is presented below, is to preserve the legacy of Motown Record Company and to educate and motivate people, especially youth. A nonprofit 501c(3), the Motown Museum tells the story of how a man’s vision turned into one of the largest, most successful record companies of all time and how the music—the Motown Sound —captured the hearts of young people, not only in America, but across the globe. Motown Museum Mission: To preserve the history and legacy of Motown Records Corporation through the conservation of Motown’s original site on West Grand Boulevard in Detroit, Michigan, U.S.A. To educate and motivate people, especially youth, through exhibitions and programs that promote the values of vision, creativity and entrepreneurship. To build awareness of the global impact of Motown and its artistic contributions to entertainment.